Sulwhasoo is really my favorite 'hanbang' brand, I have always high expectation for it as it never disappoints. I have reviewed a couple Sulwhasoo products before (sleeping mask and clarifying mask), now it's time for another Sulwhasoo review. 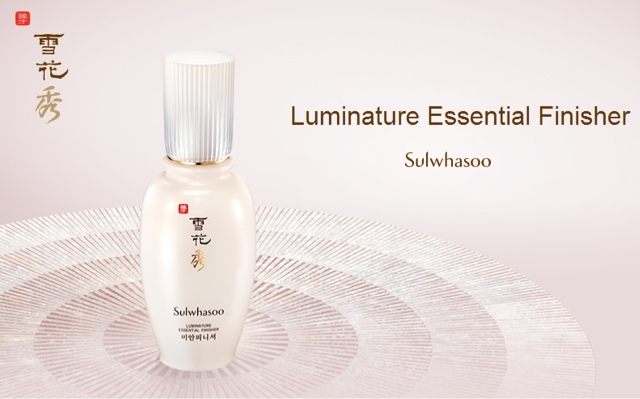 I have been using the Sulwhasoo Luminature Essential Finisher for almost a year now, its a product I always go back to. The concept of 'skincare finishers' has become popular in Korea, many brands have one like, Hera and Sum37. Sulwhasoo describes it as new type of product to complete your skin care routine, a finisher that seals in the benefits of previous skincare regime. It has Locsamhyo™, a patented formula by Sulwhasoo from Korean red ginseng with green tea. I don't have to tell I how excited I'm about ginseng in skincare. Sulwhasoo promises that this Locsamhyo™ will create a moisture barrier on the skin surface locking in hydration and protecting the skin. Further, giving a natural radiance and brighter skin tone, making your skin smooth with a natural glow. The first think that comes to mind when reading the description it's an 'occlusive moisturizer', final step so might act as an primer. I usually don't like make-up primers, many are heavy with silicons and clog pores, but this Sulwhasoo finisher is more of a skincare product. Cosdna analyses shows no major red flags ( squalane and butylene glycol rank 1 out of 5 for acne). First ingredient is Squalane. Squalana is a derived from natural oil, it's known for it's moisturizing and elasticity retention function. The fact that an 'emollient' here is the first ingredient is good, that's what a finisher is supposed do; seal in everything. Then we have some silicons and a mix of herbal extracts, that act as moisturizers, anti-oxidants and ...?. My favorite is red ginseng. Ginseng has been used traditionally in eastern Asia over thousands of years. It has been used orally to treat various diseases and topics as a beauty treatment. Scientific studies might be limited, but the ones conducted so far show that ginseng protects against UV damage, reduces hyper pigmentation and wrinkles, increases and stimulates collagen production. In addition, topical applications has been shown to heal wounds and reduce skin inflammation. The full size product looks gorgeous, but I don't have the original packaging, only sample sized tubes that I got off ebay. I will probably buy a full size product in the future, but now it's more cost effective to use the samples. 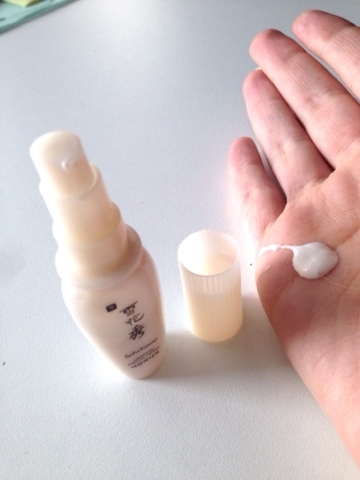 The 8 ml sample bottle is actually somehow similar to the full size. The texture is quite thick and creamy. It's a 'finisher' so that's what we would expect. A small amount like in the picture below is enough, you don't need much. It takes around 30-50 seconds to absorb. Scent is hanbang with mix of fragrance. Even the sample tubes have a nice pump, you can get just enough out with one pump for the entire face. I apply it as a last step of my routine, after my moisturizer or emulsion. It says you can use it day and night, I prefer it for the daytime routine but its also nice a night time occlusive. In the AM routine it acts kind of as a primer + moisturizer. I find that formula leaves a thin film on the face, but it's not greasy or heavy for my combination dehydrated skin. So does it seal in previous applied skincare? Well, at first it's difficult to tell, but I have been using it over a year and every time I apply it my skin kind of stays moist for a longer amount time, make-up is more even and actually holds longer through out the day. Hence, I would say YES. It makes my face more radiant and just as promised ads a natural glow. I haven't tried other Asian finishers so can't compare it to any other similar product. I really like this finisher, so now you know why I have been using it for over a year. When I first got I thought it would be some kind of a primer, but it's not a primer! It does act partially as a primer and make-up stay is better, but I find that its more of a skincare product. I almost forgot to mention that it makes my skin more dewy. So far, everything is good expect the price of a full size product official retail price is 90$ for 80ml. But oyu can find it now on Amazon* for only 65$ and deluxe samples (80ml) for 45$* / 77$ at Koreadepart, 86$ on W2beauty* (free shipping), 90$ on Sulwhasoo-us. You can buy samples (miniature tubes, each 8 ml) for 10$ 16ml on on ebay (and see amazon above). 5 = reached Holy Grail status in skincare, can't live without. *Disclosure: This post contains some affiliate and referral links marked with an asterix, shopping with them supports the blog. Excellent review - as always! I have been using this for about one year as well. The SA at an Aritaum store I frequent "strongly recommended" I try it and provided a couple of samples. And yes, the samples are essentially a "mini-bottle" of the full-size. 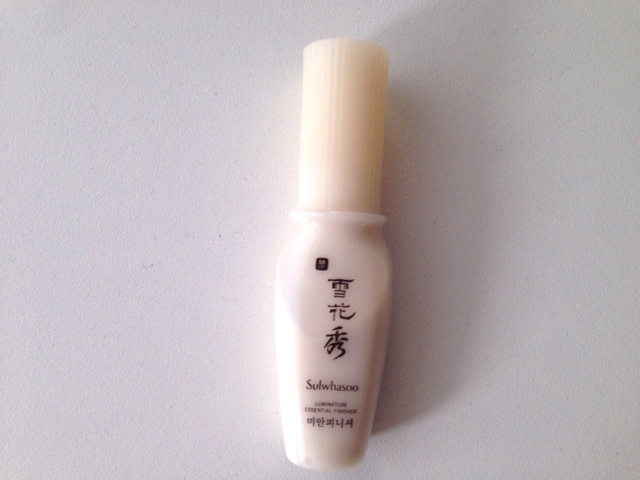 Like most things Sulwhasoo, the samples had me "hooked" almost immediately, so now I have the full-size bottle. I like the fact that it is a light "occlusive" that helps to maintain the hydration of my skin during the day, both in the cold of winter and in the warmth and humidity of summer. And, balanced hydration seems to help some with oil control as well. I also think of it as a "finishing touch" for my AM skincare that adds a certain element of evenness and refinement to my skin. The effect is subtle but noticeable and, IMHO, not overly "dewy". 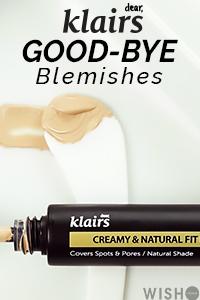 Sunscreen, BB/CC creams and/or cushions apply very nicely with this as a base and, as you noted, it doesn't at all have the texture of primers that are loaded with silicones. It's definitely a "higher order" primer - and skincare to boot! Of course, all that "refinement" does come at a price, but, as long as one can afford it, this product is definitely worth the investment. I've yet to find anything else quite like it! I see you like it as much as I do :) True, its not overly dewy, a very natural glow actually. Also very superior to regular primers. Its an investment but worth it. I think I would buy a full size if I saw it in a store, waiting for a trip to asia lol. 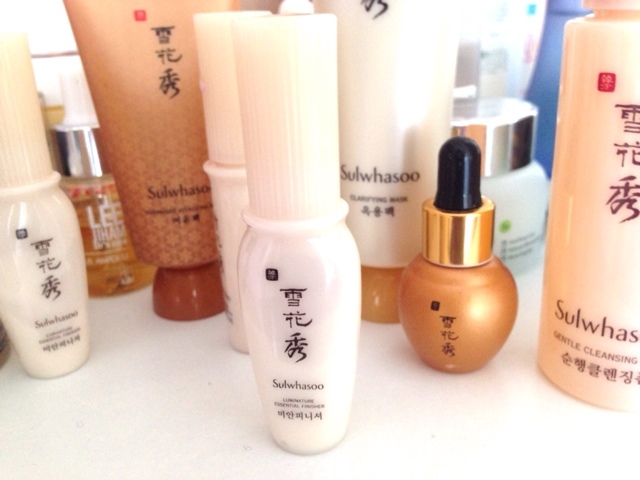 have you tried other Sulwhasoo products? Pure Vitamin C21.5 Advanced Serum - a review of my Holy Grail serum! COSRX Centella Blemish cream - a multi functional spot treatment. Welcome into my beauty world were I mainly blog about my Korean - Asian skincare journey and cosmetics. Enjoy reading!